Here at Roofing Superstore we have a variety of Major Tile roof sheets and rooflights from FILON, the market leaders in GRP products for the construction industry. 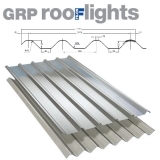 FILON have been designing, manufacturing and developing GRP roof lights and roof sheets for over 50 years, and have created GRP roof sheets and rooflights in over 900 different profiles to ensure that there is one for almost every type of current and discontinued asbestos roof sheet. What are Major Tile roof sheets and rooflights? Major tile roof sheets and rooflights have a profile height of 79mm, and a pitch of 339mm. 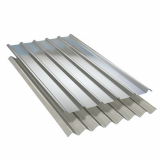 They are part of a wide range of roof sheets and rooflights that have been manufactured to replace asbestos roof sheets, and can be used as a replacement for a single sheet or an entire roof, or alternatively to create a completely new roof on a new build project. Major tile rooflights have been manufactured from GRP (glass reinforced polyester), which consists of a plastic type material, with fine glass fibres added to provide extra strength and robustness. The rooflights contain unique light diffusing additives, which help to spread the natural light through the building evenly, whilst also preventing glare and hot spots. Major tile rooflights act as a great alternative to electrical lighting, meaning electrical wiring isn’t required, saving time, money and energy emissions. Major tile roof sheets are manufactured similarly to major tile rooflights, but are grey instead of translucent, and also are manufactured with an additional reinforced woven glass layer, to add extra strength. What are the benefits of major tile rooflights and roof sheets? There are a number of characteristics of major tile roof sheets and rooflights from FILON that provide benefits compared with more traditional roofing materials. Firstly, the GRP material that is used to manufacture the roof sheets and rooflights is really strong, but also incredibly lightweight. This lightweight characteristic is beneficial because it can be handled, transported and installed more easily than heavier roof sheets such as metal. Secondly, the GRP material can be moulded into a wide range of different shapes – FILON have designed over 900 different profiles of GRP roof sheets and rooflights, meaning that if the major tile rooflight is the profile of your existing roof, the major tile GRP rooflight will be a perfect fit to the rest of the roof. Each major tile roof sheet and rooflight has a high quality UV inhibiting protection system that has been applied to the exterior side of the sheet. This means that the product is unaffected by UV radiation, so will not yellow as quickly, or weaken – this means the sheet lifespan should be in excess of 30 years under normal conditions. FILON major tile GRP roof sheets can be used in both single skin and double skin site assembled applications, and can also be used with insulating intermediate layers in order to improve insulation if required for legislations. The FILON Fixsafe system has been designed to help to combat the number of fatal accidents in the construction industry that are due to falling through fragile roof materials. 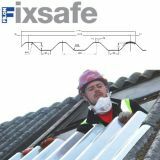 The Fixsafe system means that the roof sheet can be replaced via the interior of the building, instead of having to access the exterior of the roof.  If you have any questions about the major tile rooflights and roof sheets, feel free to call our team on 01752 692760 or use the live chat in the bottom right hand corner and they will be more than happy to help.